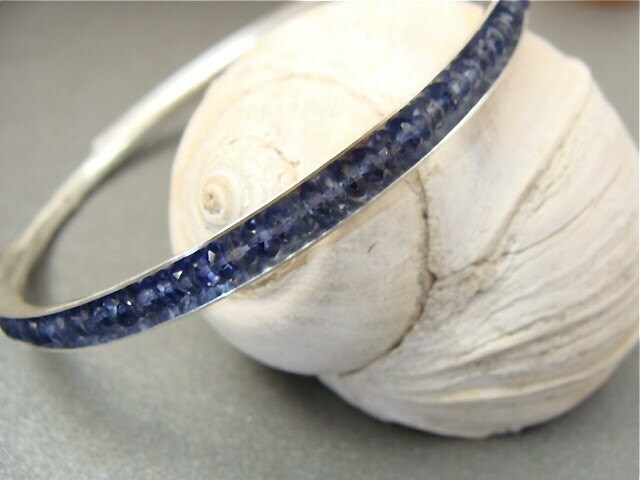 This listing is for one iolite bangle. 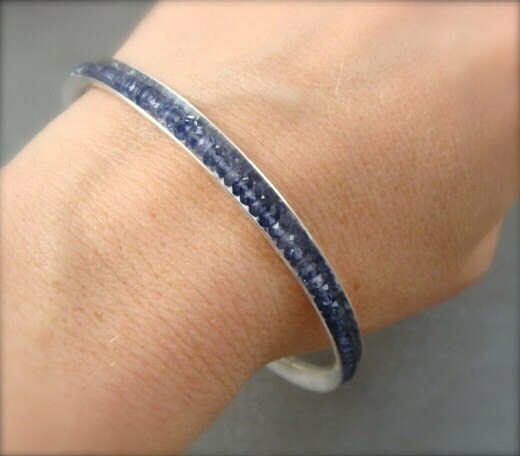 A whole bunch of natural iolite shimmer from within the folds of this organically shaped, sterling silver bracelet. The stones are held securely in place by sterling wire. 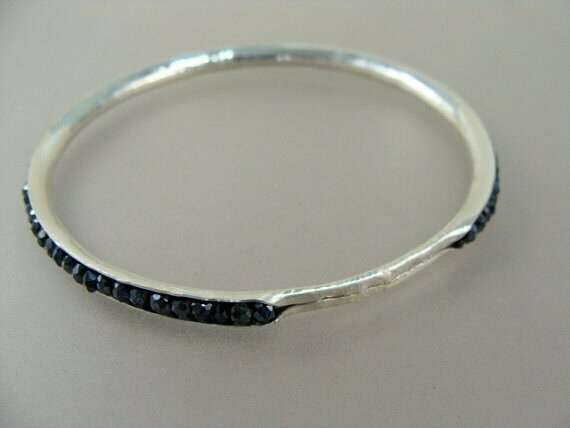 The bracelet was hand formed and then hammered so its pretty from all angles. Simple, fresh and pretty! 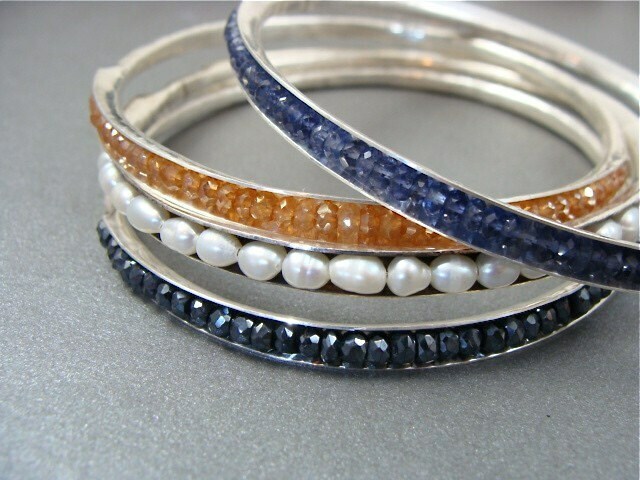 I highly recommend these bangles. Lovely creations. 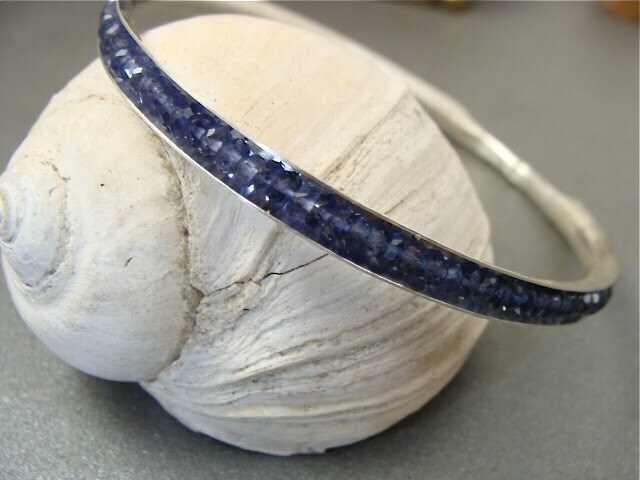 Beautiful gems, simple design and wonderful craftsmanship. Love all the sizes. Nice!! Thank You So Very Much.